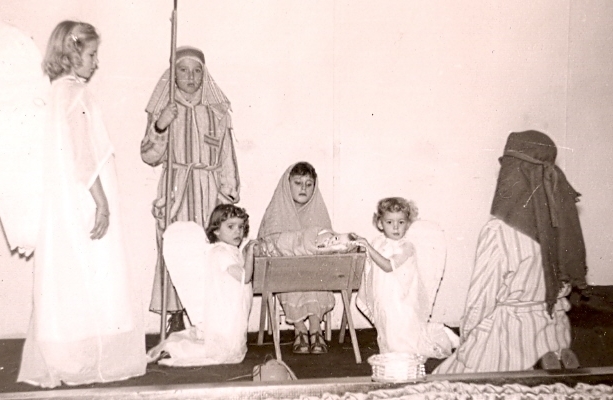 I am the little ‘angel’ on the left of the manger, in our church children’s program. multi-colored lights and hanging tinsel. while waiting for Santa on Christmas Eve. dressed in pink flannel pajamas. draped from presents placed under the tree. given to children in brown paper bags. my parents made for us each year. mailed and received from friends far and near. for Sunday services before each Christmas. I wore in school pageants and nativity programs. Are things I remember from Christmases past.